This post was previously published on the Chayet Chiénin's blog, Nothing but the wax. Bloggers can seriously influence the way industries think -- in fashion and beyond. It's not for nothing that famous brands, big and small, enlist the services of these bloggers like crazy. These trendspotters, on top of the latest innovations, can ramp up sales of some brands and make others better-known. In the universe of African fashion, this phenomenon is equally well-known -- but it goes beyond direct influence on transactions and sales. We must be equally aware of the influence that is not as palpable and material: bloggers are able to make their interests the flavor of the day, resulting in a globalization and democratization of African fashion (via the trend of wax print fabric). Globalization comes about when prominent bloggers have an influence that goes beyond the framework of their country of residence. Their blogs and social networks are followed internationally by people like you and me, but also by industry professionals such as fashion journalists, stylists and some even by professional buyers. There's democratization because the bloggers' takes on fashion impact very large audiences, who do not necessarily know African fashion. It's undeniable that African fashion, boosted by the trendiness of wax print, has had a more than positive turn in recent years. Lately, it's been featured in top venues and even in the mainstream press. But if a craving for African prints is on the rise among celebrities and stars, don't forget the important contribution that bloggers have made and continue to make in this evolution and the industry in general. Here is a small, non-exhaustive selection of bloggers, located all around the world who, in my opinion, are contributing to boosting this fashion. PS: I chose bloggers who don't specialize in wax or African fashion, but I won't forget about all my colleagues, like Kukua from the blog African Print in Fashion or Mary from Pagnifik. 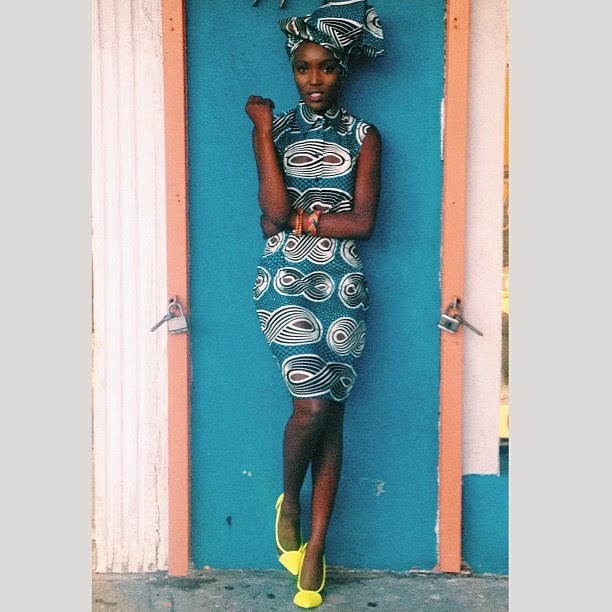 In France, Fatou N'Diaye from the blog Blackbeautybag hardly needs an introduction. 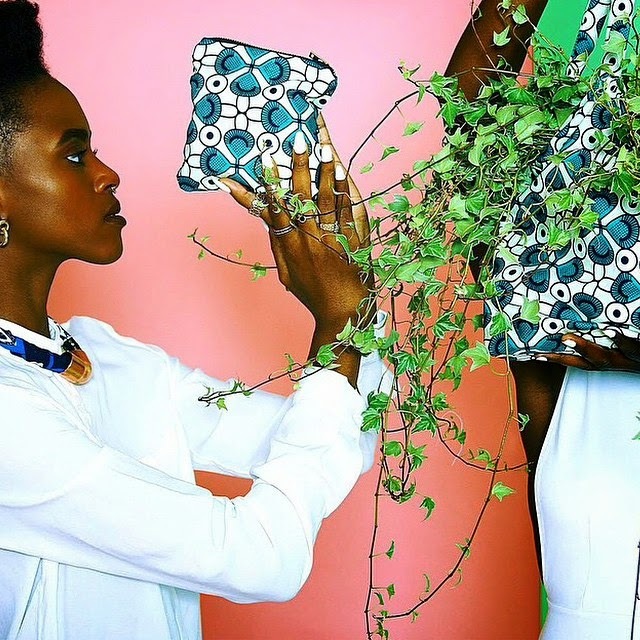 Between multiple collaborations with leading brands such as L'Oreal and Kookai, Fatou also the time to ask for smaller brands such as By Natacha Baco or sophisticated, urban African online shops like Moonlook and Inyu. Another French blogger is the beautiful and sparkling Gaëlle-Vanessa Prudencio of the blog The curvy and curly closet. 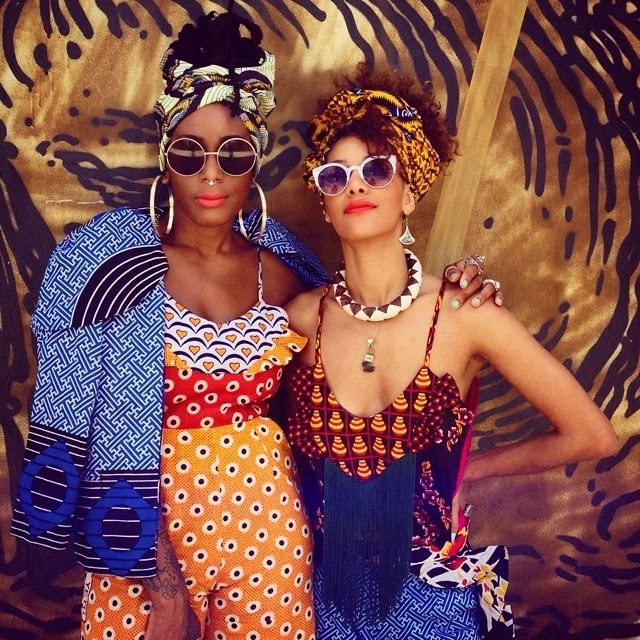 In July 2014, Gaëlle-Vanessa partnered with the Senegalese brand Belya to launch a capsule collection dedicated to large sizes, all made of wax print and woven cloth. 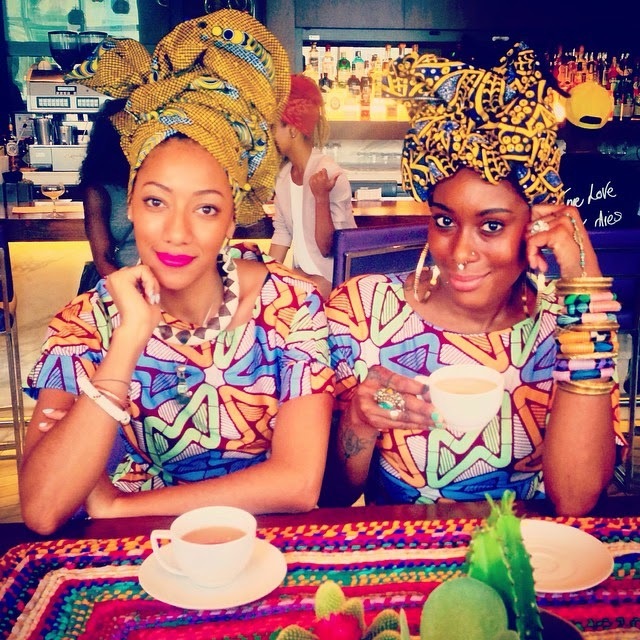 Folake Kuye Huntoon is a famous fashion blogger who runs the site Style Pantry. Her refined look, feminine and full of finesse, made her famous internationally. She's spotted several times with pretty outfits in wax print, including clothing from the brand Demestiks New York. 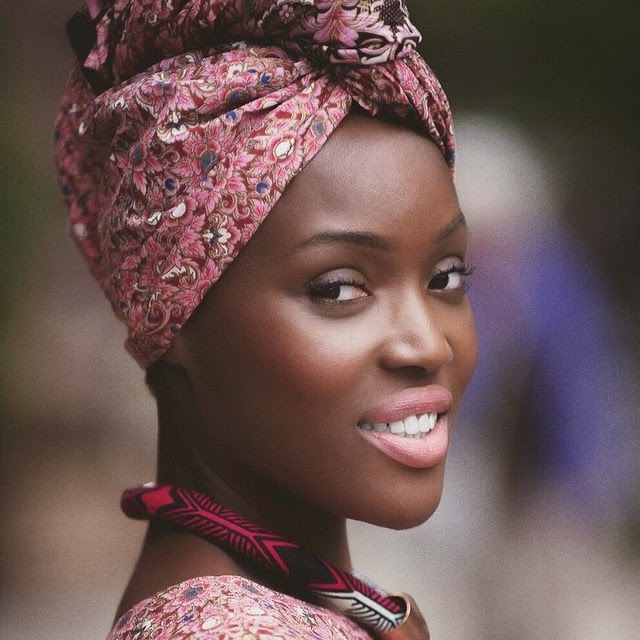 Folasade Adeoso is one of the queens of the head wrap. Her site Art by Fola invites you along on a floral, artistic and colorful journey. In October 2014, she opened her first pop up-store in New York to promote the launch of a brand of accessories and wax print jewelry called 1953. Finally, bloggers Vanessa and Luna of Project Tribe adorn their Instagram account: colorful looks, rich in wax and Aztec prints. This summer, we saw them wear beautiful outfits from the brand Chichia London. This post was originally published in HuffPost France and was translated into English.